Today’s meditation showed us that we all have a profound and innate wisdom. How have you experienced this in your life? Write about a time that you spontaneously said the right thing at the right time to someone. What did that communication feel like for you? — Deepak & Oprah 21-day Meditation Experience. As I struggle to come up with a satisfactory answer for this question, let me focus instead on what Deepak had quoted William Blake as saying in reference to wisdom. Wisdom is “organized innocence.” What a concept! In order to have or to cultivate wisdom, I know that I must be in awe of something; I must see that thing with wonder, with the eyes of an innocent child. It is only when I perceive it this way, that is, when I use what Zen Buddhists call my “beginner’s mind” that I see the true writing on a wall I offered up for its clean slate to be imprinted upon. Go within to find the wisdom we were born with! Wisdom is not something confined to those growing old. Nor is it only for the professor-types in ivory towers, although we can revere what many tell us because of the learning they achieved and can pass onto us. No, wisdom is something that – I believe – we’re born with . . . We have it inside of us and one of the few ways that we can tap into it is through meditation. In other words, I don’t have to have lots of experiences to be wise. I need only to experience things from within and be able to see things from the child’s point of view. Then I can feel the richness in witnessing. Now, what was that question that I just dodged? “Write about a time that you spontaneously said the right thing at the right time to someone. What did that communication feel like for you? I told a young woman, Rita, that our relationship will have to come to an end and for us to enjoy it while we were together. We were both married at the time. I’m not proud of it, but we had an affair. I was twenty-three and she was twenty-one or twenty-two. We came together as troubles had developed in both of our relationships at our separate homes. We had fun and we grew, sharing ourselves in a way that we couldn’t with our spouses at that time. We both got divorces. She much more quickly than me. That angered her. I guess she felt that I should have joined her upon her break-up with her husband. I did not, for I was Catholic, and I knew instinctively that I would not. That’s what I meant when I said our relationship was impermanent and that it would not last. Nothing does. I guess another time that this occurred was more recently, but it feels like several lifetimes ago. I had predicted to a young woman who I had fallen in love with that we would only be together for six months. I actually told her in June that we could learn from each other and then finish what we needed to do by December. That’s exactly what happened too! But this time, I was the one who didn’t want to pay attention to my own advice. I wanted permanence. I wanted to cling to the relationship, to hold onto something that had already ended, but I couldn’t and didn’t want to see my earlier premonition was correct. In each case, I was prophetic with the wisdom. 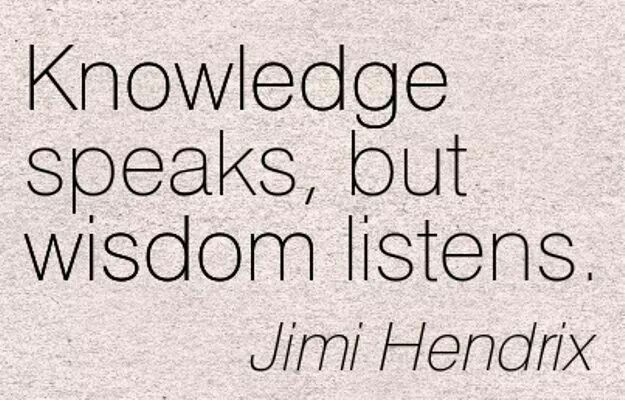 Achieving wisdom and following it, however, are two things I have learned that don’t necessarily come together all the time . . . This entry was posted in Inspirational, Letting Go, meditation, Surrender, understanding and tagged affair, awakening, Buddha nature, compassion, compassionate, Compromise, contemplation, enlightenment, Grateful, gratitude, heartfelt, Higher Self, hopeful, Life, Love, meditate, meditation, mindfulness, purity, pursuit of happiness, relationships, seeing, Spiritual, spirituality, truth, women, writing.